Nick Johnson and the Yankees are set to reunite. And that likely means a separation with Johnny Damon. 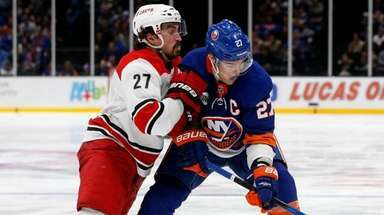 Johnson and his original team are wrapping up discussions for a one-year contract for about $5.5 million, a person familiar with the situation told Newsday last night. The agreement is pending a physical examination. 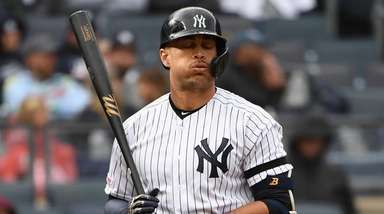 His signing would fill the Yankees' need for a designated hitter, doing so within the budget general manager Brian Cashman repeated yesterday he planned to stay tethered to. The arrival of Johnson, 31, makes it extremely likely that the Yankees will move on without Damon. 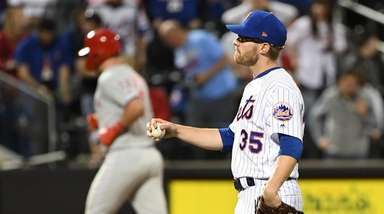 "It's part of baseball," Damon told The New York Times last night. "Teams try to make moves in hopes to improve their club. I wish them all the best." Johnson, a first baseman by trade, will serve as the team's primary designated hitter. With Johnson and Curtis Granderson, who was officially introduced yesterday at a news conference at the Stadium, the Yankees believe they have replaced the lefty bats of Damon and Hideki Matsui, who signed with the Angels for one year and $6 million. 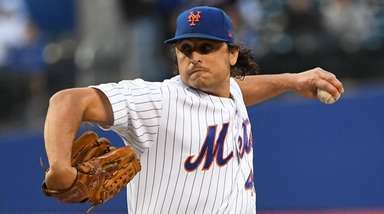 The Yankees' first choice was to re-sign Damon, but the two sides were far apart in negotiations, with the Yankees discussing a two-year contract for about $20 million and Damon looking for three or four years at the same $13 million annual salary he earned the past four seasons with the Yankees. The Yankees would get younger by signing Johnson and with him signing a one-year deal, Cashman, looking ahead to a much better 2011 free-agent class, still has the roster flexibility he desires. It is not impossible Damon could return, though a starting point for that to happen would be the outfielder dropping his current demands, which is unlikely. Cashman has discussed the Yankees being in the market for a leftfielder but at the same time has said he's comfortable with Melky Cabrera or Brett Gardner there. Regardless of speculation, the top available free-agent leftfielders, Matt Holliday and Jason Bay, seem far too expensive. "I have a leftfielder right now if we choose," Cashman said after the Granderson news conference. "We've got Granderson in center and Melky and / or Gardner in left. We have to weigh the markets, what they have available at the price tags that we want . . . and that will [determine] what we can go forward with." For Johnson, he will be coming full circle. The Yankees selected him in the third round of the 1996 amateur draft, and they grew to love his strong hitter's eye. Johnson has a career .402 on-base percentage, and he posted a .426 OBP with the Nationals and Marlins in 2009. Johnson went from the Yankees to Montreal as part of the package for Javier Vazquez in December 2003. 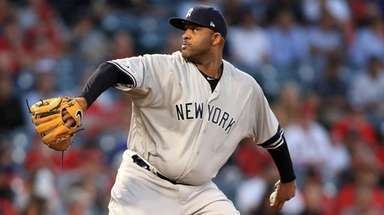 He has been injury-prone, a problem dating to his Yankees days, but when healthy, he gives the Yankees a bona fide No. 2 hitter against both righties and lefties. Cashman said one area where he and agent Scott Boras agree on Damon is that the outfielder "is a perfect two-hole hitter for this place." However, and perhaps intentionally ominous, Cashman added to that. "It doesn't mean he's the only guy, though, that can do that," he said. "He is perfectly set up to hit behind [Derek] Jeter and in front of those guys in the three and four hole, and that's got a lot of value. There's no doubt about it. If I can't do it with him, is there somebody else I could do that with?" The answer appears to be Johnson. "I'm glad Nick gets to come back to a great organization," Damon told the Times. "He will love the guys and the new stadium."